Serving the Brantford community since 1972. Transforming your lawn from a desert into a refuge of nature has never been easier than with the help of Alpine Construction. We provide landscaping products and supplies for home and business property owners throughout the Brantford area. Our experienced team will take the time to identify the right products that will satisfy the unique needs of each and every property. You’ll find topsoil, mulches and much more. Speak to our experienced staff. We believe in making your landscaping project as simple and stress-free as possible, including not making you wait for days for your supplies to arrive. Our team is happy to offer same day delivery or pickup of all of your landscaping supplies. We can deliver 1 yard of gravel, 25 yards of topsoil and everything in between. We can also remove any remainder as quickly as possible. The secret to completing all your landscaping projects successfully is having the right equipment to do it correctly. We operate a fleet of vehicles and landscaping tools, including a loader equipped with 1-3 yard buckets. After more than 45 years in the business, we have the hands-on experience to put our equipment to use for you. 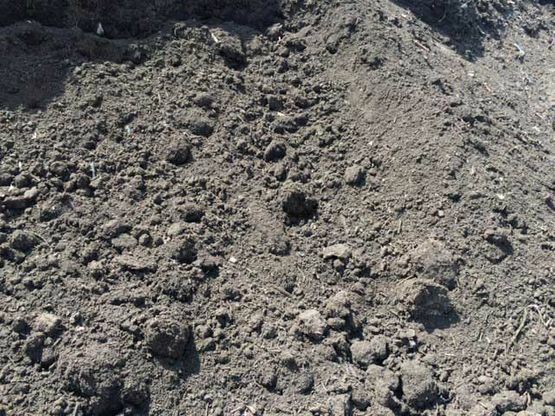 Contrary to popular belief, all soils are not created equal. When you are designing the perfect garden and exterior shrubbery, you need to be sure that your plants, vegetables, shrubs and trees will grow to be tall and beautiful. All of our soils have been tested in a laboratory in order to be sure that it contains all the essential nutrients and minerals needed to turn your yard into a lush wilderness full of life. Call us today to find the right landscaping supplies for your yard. We offer regular promotions at our store. Come visit to see our latest deals.